I dread being in a swimsuit. I will make up reasons why I can't go to the pool; I say no to beach vacations; I avoid going to my family lake house each and every summer. I will claim to have just about anything going on to keep from wearing a bathing suit in public. This is not something that I talk about openly or ever admit to, but I have body confidence issues - big time! My weight fluctuates about 10-15 pounds and ever since entering the working world it seems like that range just keeps growing. I am under no false impression that I could ever be a size two (I mean, come on, Kansas City food is just too good to give up) but I would like to feel confident in my own skin. You know what doesn't make me feel confident? Being in a bikini. I should have known Nani Nalu, a boutique swimwear store on the Country Club Plaza, would be different as soon as I made an appointment. The process starts online and could not be more simple. You choose an hour-long appointment window, fill out your bra and pant sizes, what styles you're looking for, how active you are going to be in your suit, etc. The instant personalization was something that I didn't expect and made me a tiny bit less anxious about the entire experience. This is what the appointment form looks like. 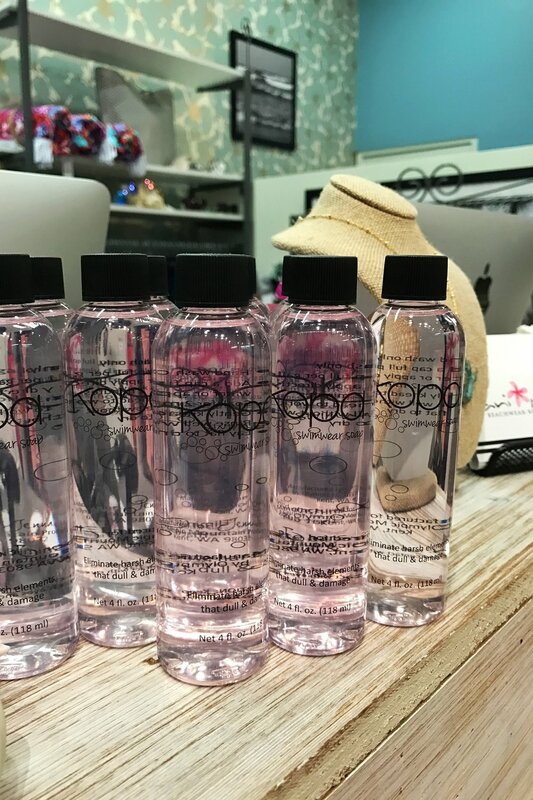 It helps the sales associates prepare some swimsuits for you to try ahead of time! The day of my trip to Nani Nalu, I told my roommate, Molly, where I was headed. I distinctly remember saying, "I hope they just want to talk about the store and its mission because I am so fat and so pale and so fill-in-the-blank that I can't imagine trying on swimsuits right now. "(I feel embarrassed even typing that sentence. Women are generally too hard on ourselves and I am definitely no exception). 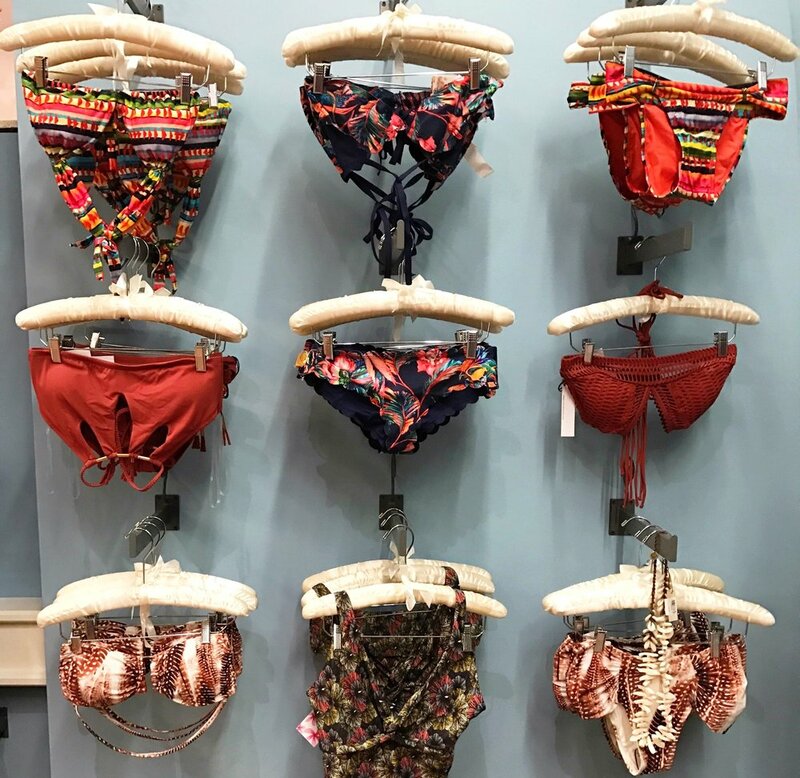 The minute I walked in the door, Jenny, the store manager, greeted me happily and ushered me into the fitting room with swimsuits lined up ready for me to try on. What I had been hoping for was definitely not coming true… Right off the bat, Jenny made sure that I knew the two rules at Nani Nalu - 1. There is absolutely no body shaming allowed and 2. You need to show the sales staff every single suit you try on (excuse me, what?!). These are two rules I have never, ever, in my life followed while trying on swimsuits but I guess there's a first time for everything. I put on a one-piece that I thought looked pretty tame - a good place to start - and I left the dressing room. Just about every muscle in my body was tense as I showed Jenny and another sales associate, Maggie, what I was wearing. Jenny immediately went to work adjusting the suit to create the most flattering look. I peeked in the mirror and was floored. I watched my muscles relax ever so slightly and for once, I didn't hate how I looked in a swimsuit! As I continued to try on more and more, I became noticeably more relaxed and confident. I pointed out elements of each suit that I liked and the team gathered more swimsuits that were similar for me to try on. I probably tried about 20 different styles finally settling on an orange suit that makes me feel like a million bucks. 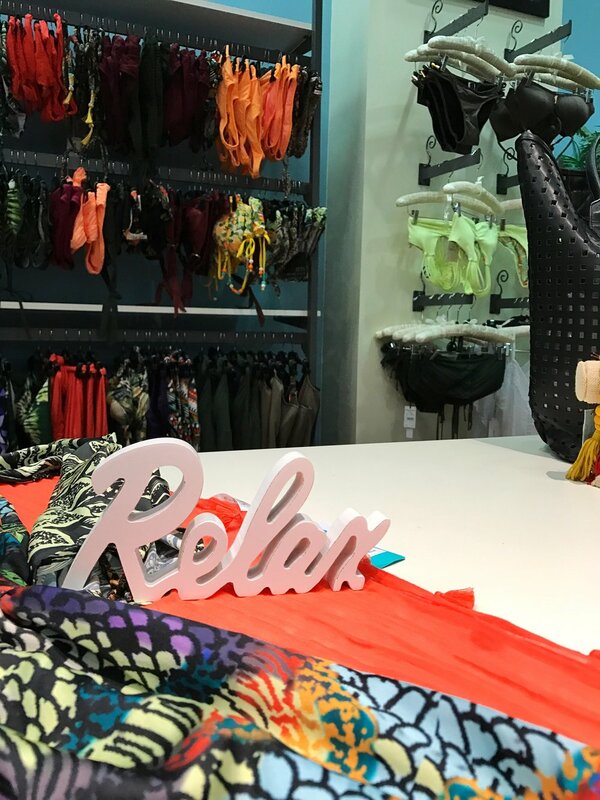 Relax - Exactly what I needed to do when I walked in! 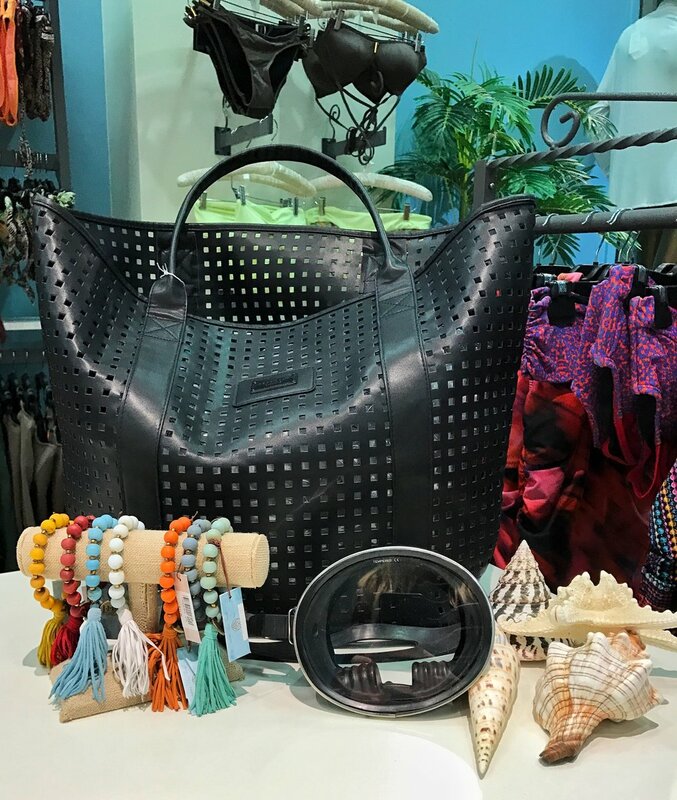 Nani Nalu also carries beachwear accessories like tote bags, hats, and jewelry. Just use a capful of the soap and wash your suit in cold water and your suit will feel like new forever! And it's only $5! There have been many times in my past where I have cried in the car after trying on swimsuits in a department store fitting room. This was the first time I cried in the car from happiness. I've finally re-discovered my confidence. For once in my life, I can't wait for summer to get here. I am not going to pretend I don't still struggle with my weight and how I see myself some days, but finding a swimsuit that makes me feel beautiful is something that I never thought would happen. I can't thank Jenny or the team at Nani Nalu enough for giving me my summer (and my confidence) back!